Happiness is the only thing that you want in this world. However, that not comes easy for a monkey like you. Everybody thinks that you are the happiest creature in the forest because you are just so quirky. The truth is, that is not the case. In fact, the happiest can be the saddest too. You just want to experience the real happiness. You don't think that you can feel that in this forest so you went out for an adventure. There are lots of challenges that you have to face and you have to be ready for those. There are lots of puzzles that you will encounter and your logic would be so important. The good news is, there are clues that can help you to solve the puzzles that you will encounter. Not only that, there are also items that you can pick up along the way. Those things can definitely help you with your adventure so you have to collect those. You just have to keep your strength with you so you can get to the end of this adventure. 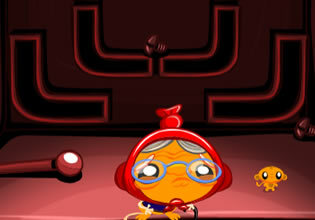 Monkey Go Happy - Stage 215 is a brand new adventure game made by Pencil Kids. Good luck and have fun!